The booming market for electric cars is home not only to the big names of the automotive industry, but also to many exciting newcomers. One of them is the Chinese company Byton, which will soon launch its first model. 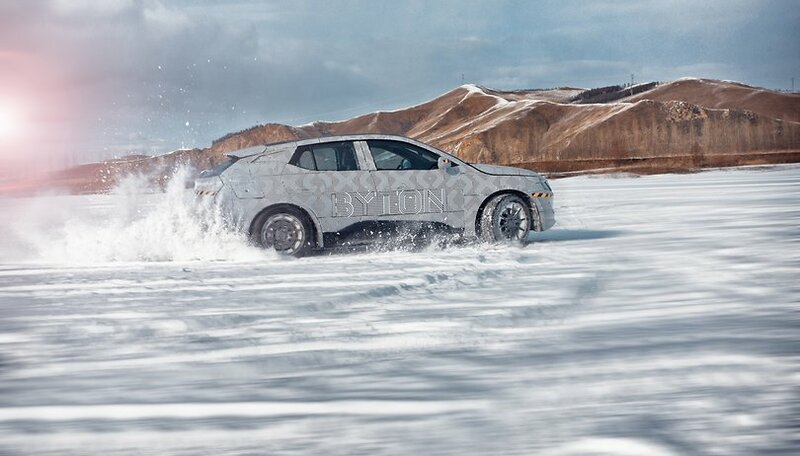 Byton tested the electric car extensively in winter conditions to make sure it's fit for everyday use. Meanwhile, Byton's headquarters in Nanjing, China, are working to meet the planned sales launch at the end of this year. The production facilities are currently being set up and the production lines are being equipped. The technology for this comes from Germany, for example from the Swabian plant manufacturer Dürr or Robort specialist Kuka from Augsburg. The design development center for prototypes and concept vehicles is located in Munich, a US-American development center is also operated in Silicon Valley. If Byton can maintain its own schedule, production of the pre-series vehicles will start in the summer. The sale of Byton's e-cars will then begin in China at the end of 2019. The first production vehicles are expected to be available in the USA in the second half of 2020, with the launch in Europe scheduled before the end of 2020.